If you are looking for the Reverse Confetti Release Countdown Day-1 please click HERE. Hello Everyone this is my second post of the day. 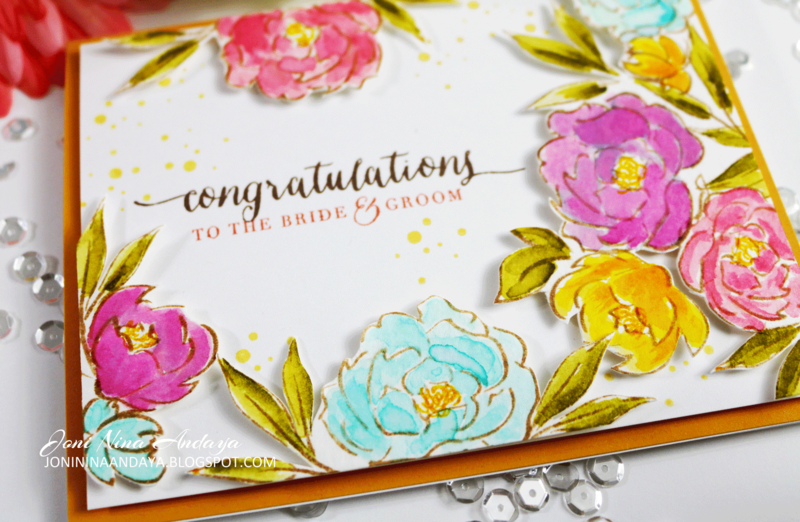 On this first project I combined the new Pretty Peonies and Butterfly Frame Die to create my card. I first die-cut the Butterfly Frame Die on the kraft cardstock, the negative I kept for the project. Next I die-cut a white cardstock again using the Butterfly Frame Die, I time I used the positive die on the frame. Next I stamped the flowers inside the frame using the kraft negative as a guide before stamping the images from Pretty Peonies stamp set. Next I then stamped the sentiment "Thank You" from Fanciful Feathers stamp set. Lastly I added some Pretty Pink Posh Sparkling Clear sequins to finish my card. For my second project I watercolored the Pretty Peonies on the Watercolor paper first and let it dry. Once the images dried I then fussy cut them...hehehe I love doing this for some reason really enjoyed it. 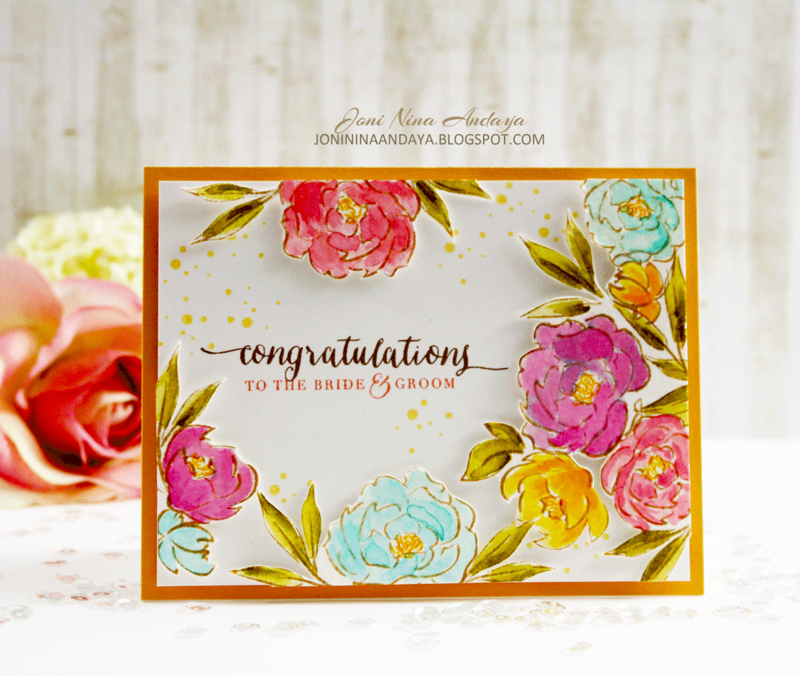 After all the fussy cutting are done I then stamped the sentiments "Congratulations" and "To the Bride and Groom" from Fresh Cut Wreath stamp set. I also added the dots from the Dream Believer stamp set for added interest on the card. To finish off the card I adhere the flower images with foam tape for dimension. I hope you enjoyed more of these projects. I had to get this set last night, I love it and you rocked it Joni! These are absolutely beautiful cards! Pinned them immediately!!! I just love all of your cards. Very inspiring! So pretty Joni!! 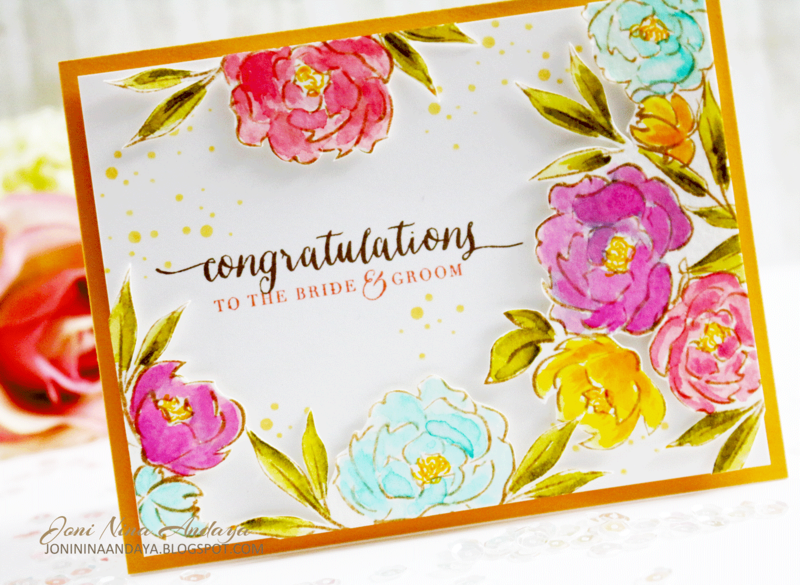 Swooning over the second card! Oh wow! These are both stunning!!! both just so incredibly stunning in every way! OOH! 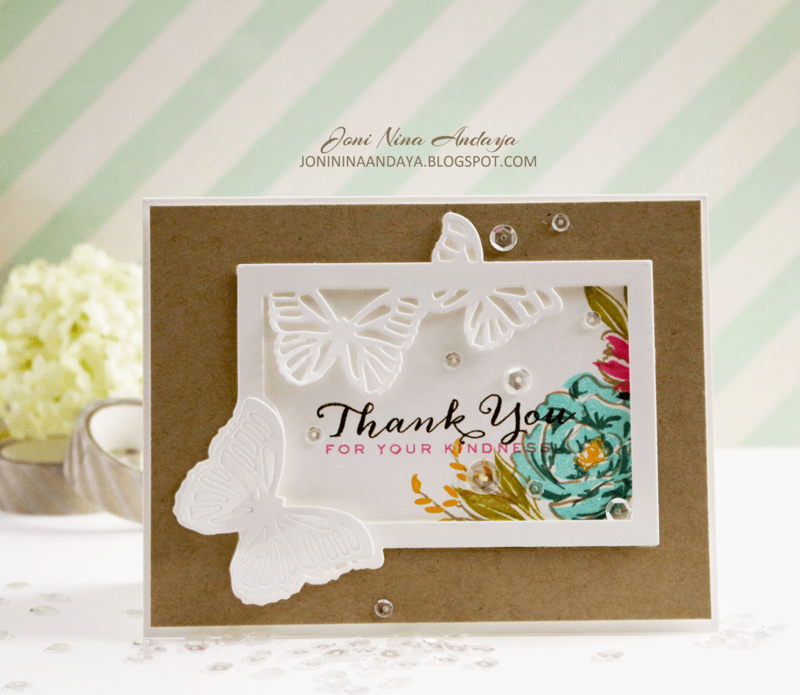 YOur butterfly card took my breath away - stunning creations, Joni - beautifully done!